I’ve said it once, and I’ll say it again: Visual schedules changed my life. Here are five scheduling tips I wish I would have known before implementing schedules in my classroom. This year, I will be assigning each student a color. Their schedules, PECS, binders, work boxes, and cover sheets will all be represented by the student’s specific color. 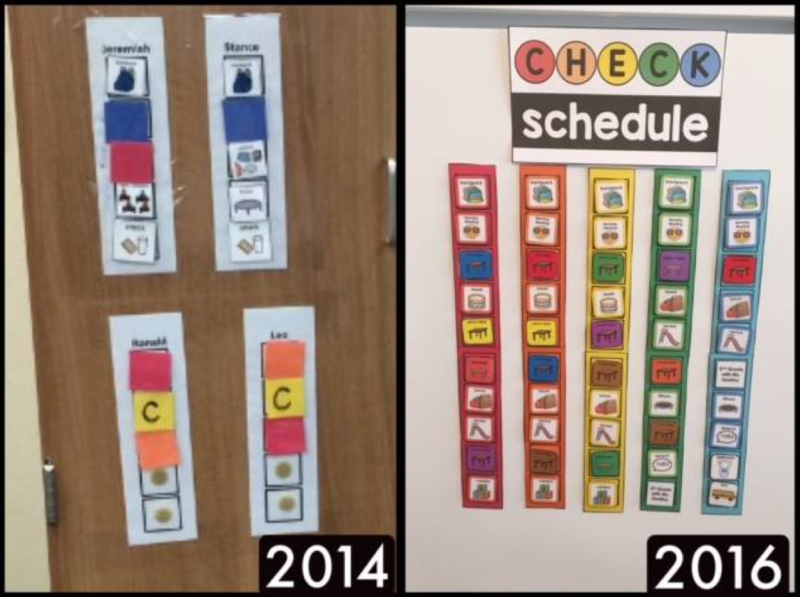 The color-coded consistency will provide the students with additional visual support and will also keep teachers organized. Any excuse to add color into my classroom is a win in my book! A good portion of my day is run in 15 minute stations. With so many varying abilities in my classroom, it is the only system I have found that allows me to focus on the individual needs of each student. Every 15 minutes, a timer sounds and students are instructed to check their schedules. Students match the “colored table icon” on their schedule to the “colored table signs” at each station. You can check out my Visual Schedule icons here. I wanted to name this step “Practice Makes Perfect,” but I find that statement misleading. We are special educators, and expecting perfection is unrealistic. One of the most important things we can do for our students is instill independence. With limited paraprofessional support in my classroom, I could not provide the one-on-one support my students need without implementing independent stations. 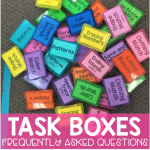 Find activities that your students can complete without your undivided attention. For the first few weeks of school, my independent stations focus more on teaching independence skills rather than academics. As students learn the routines and expectations of independent stations, I am able to provide academic instruction at my teacher table station with fewer interruptions. An OT once suggested that I incorporate short movement breaks into my schedule. While this sounded silly at first, these 10 minutes of Movement and Exercise became a game changer. Not only were students able to expel some energy, but it also made transitions a bit easier, too. Each day after snack, students remove their Movement & Exercise icons from their schedule, find their duct tape squares on the floor, and we participate in ten minutes of dancing, yoga, and/or exercises. I have had to rearrange schedules more times than I can count. Just because something worked one month, doesn’t mean it will the next. I like to plan out my schedule with dry-erase marker. This allows me to modify as needed, including changes to station order or student grouping. Be flexible and patient, and structure will follow. With time, you will establish a successful system and routine that works for you and your students. 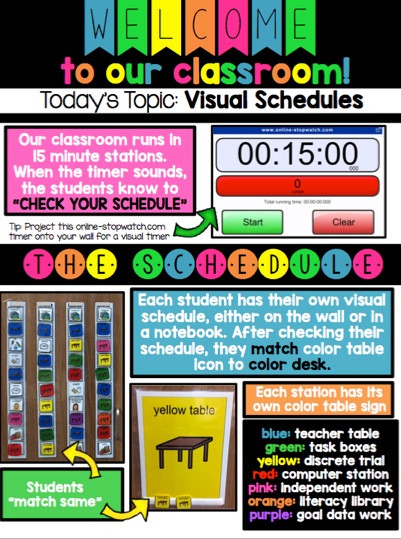 Be sure to check out Kayla from My Special Learners for more scheduling tips and tricks! I love your visual schedules. I really need to work on something like your purple table, red table, etc. to make my kids a little more independent. 🙂 You’ve planted the seed! It was truly a life changing decision! Where did you get the different color notebooks? Online or in a store? Hi Michelle! I got everything at Wal Mart! They have so many colors! Love love love! I need to implement this! Moving to a class of kids who never had their own schedules ? Hi! First, love this idea! Second, do you have reuse tables or zones in your room for the different colors of tables or do you really have that many places in your room? Lastly, could you elaborate more on the sensory/excercise break? Love that idea, I do something similar after lunch but it’s whole group. Where did you get your ideas for your movement breaks? 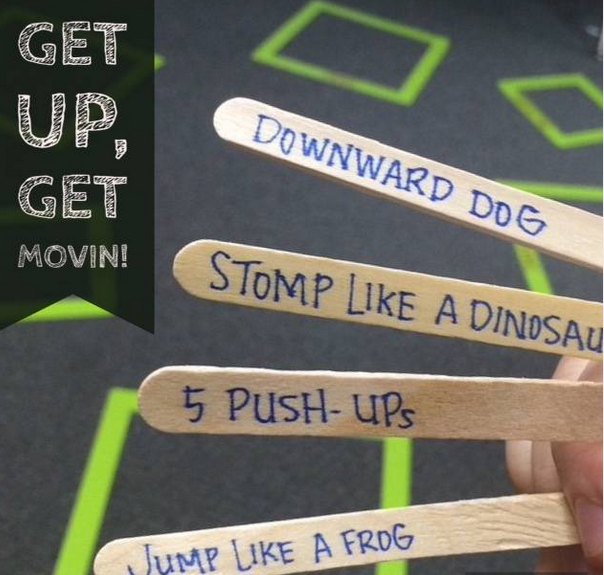 I have started adding yoga into my classroom and like the idea of random sticks with motions.